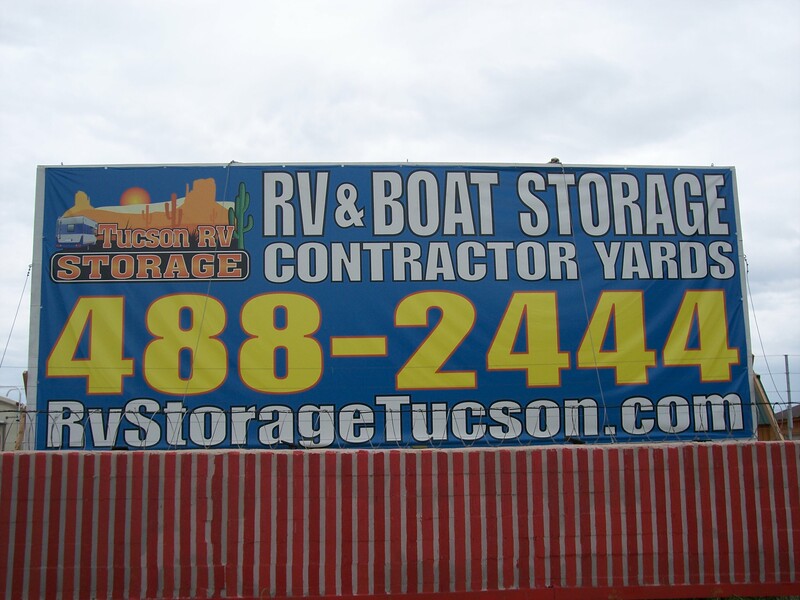 Tucson RV Storage, provides customers the highest quality storage solution in Tucson. From the quality of products and services, to the way customers are treated, the #1 goal is to ensure that customers are satisfied. You will feel confident that your property is in a safe and secure facility, taking the worry off your back. Customers mention us to their network of family and friends because they know Tucson RV Storage values them as a customer. The facility is surrounded by an 8ft solid block wall topped with razor wire, and all entrances feature sturdy gates with electronic keypad entry. The state-of-the-art security system monitors all entrances 24 hours a day 7 days a week, to provide the security that will make your property safe. Take advantage of Tucson RV Storage’s security so that you don’t have to worry if your property is protected. Being locked in a contract can be one of the most frustrating feelings, because you are paying for something you are not using. 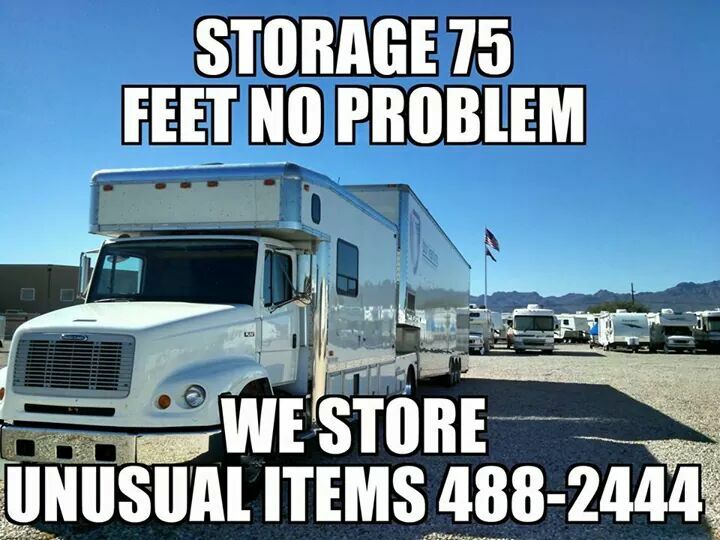 That is why Tucson RV Storage provides you with the flexibility and convenience you need to make your storage experience enjoyable. You won’t be locked into a long-term lease and our easy-to-use online payment system means that you can pay your rent anywhere. Once you arrive on the facility you will notice how easy it is to navigate throughout the area to find your space, and at no time will you fight crowded streets because of our wide driveways. The facility is also located right off I-10 and Orange Grove to give you easy access to the freeway. You won’t waste time fighting traffic to get to the freeway, you will be on your way to your destination in no time. We also have on site venders for RV Service and Detail. Tucson RV Storage customers know that they are getting the best value because this family owned company has a combined experience of over 45 years in the storage industry. With our customer focused layout, there is space we can create to fit your requirements as our customer, so you never spend more than you need. Plus our fantastic move-in specials and discounts guarantee that you will get a great price. Need a lot of space for your business save and rent a Storage Yard. 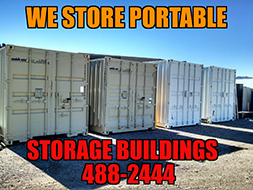 We Sell, Rent & Store Portable Storage & Storage Containers. Tucson RV Storage is proud to serve the Tucson community. As a local family operated business, we take pride in our service to the community. The office is open 7 days a week and our professional staff are happy to answer any questions or offer advice related to any concerns you may have. Being Family Owned we do things different with all our storage knowledge in the industry. 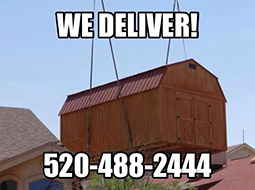 Look no further you will get the best service in town from Tucson RV Storage.